With only four ingredients, this soup is easy to make and comes together in minutes. Enjoy this deliciously creamy broccoli soup on its own, or garnished with an extra dollop of yogurt, some shredded cheese, or flavored croutons. 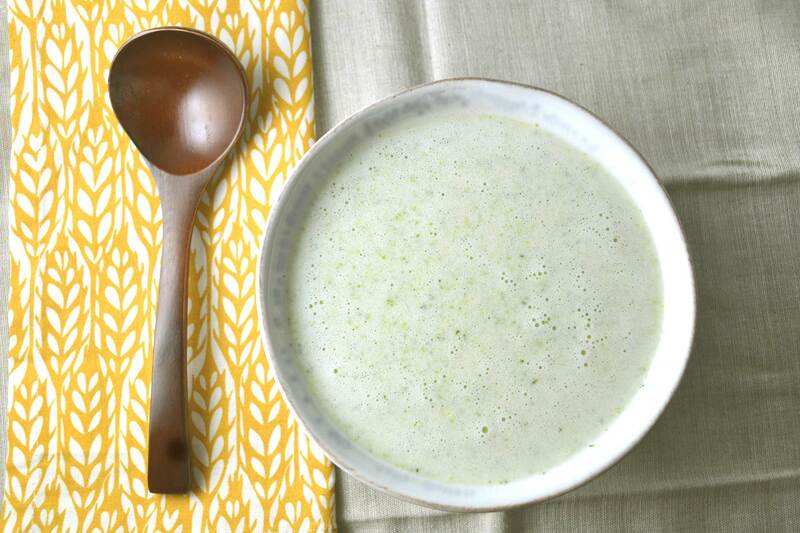 In a large saucepan, combine the broccoli and vegetable or chicken broth and bring to a boil. Turn the heat down and simmer until the broccoli is tender, about 8 minutes. Add the garlic at the last minute of cooking. Remove from heat. Using an immersion blender, food processor or blender, blend the soup. Be careful not to add too much soup to the food processor or blender. Once pureed, pour the soup back into the soup pot and add the yogurt. Stir until combined. Season with salt and pepper if needed and serve.